Truck operators are faced with a number of fueling choices – should you use conventional diesel #2, renewable diesel, or one of the varying blends of biofuels, ranging from B5-B20, or evem B99. Fortunately, one concern that customers have really shouldn’t be concerning at all – consuming B5 fuel instead of “normal” diesel fuel. 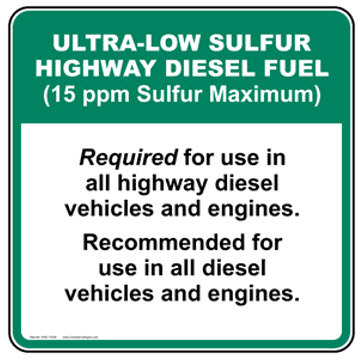 Whenever you drive up to a diesel fuel pump, you probably see a familiar sign: “This product contains up to 5% biodiesel.” Just like gasoline contains up to 10% ethanol, all diesel in the U.S. likely contains at least some bio content, unless it is specially prepared “non-bio” fuel engineered for labs and other special purposes. He’s referring to ASTM D975, the regulatory standard that governs diesel standards throughout the U.S. and many other countries. All diesel fuel in the U.S. can contain up to 5% biofuel and remain on spec – that is, it is legally considered to be just diesel #2. Depending on blending economics, normal diesel may have a varying quantity of biofuels. When biofuels are more expensive than petroleum-based diesel, blending is typically kept to a low amount, but when prices are higher, all fuels often contain the maximum amount of bio content, to help keep prices lower. Right now, without the federal tax credit of $1 per biofuel gallon, blending economics have tended to lower blend quantities; however, blending economics are driven by regional dynamics, so it may be different in your area. Many in the renewables industry are lobbying Congress to reinstate the tax credit, which, though a large “if,” would bring incentives back in favor of increased biofuel blending. So next time you’re considering whether to consume “traditional” diesel #2 or a B5 blend, keep in mind that they’re virtually equivalent. B5 is approved for use in all engines, and often will be virtually identical to diesel #2 content. Let’s all agree to stop creating confusion and recognize that B5 isn’t some confusing special product – it’s just diesel!